White Dog Lane is a farm and home stead run by Brian and Susanne Prater in a quaint coastal town. Situated in a picturesque landscape on undulating country side it is home to a scenery of Paper Bark trees, natural soaks and a variety of live stock. The farm backs on to the a river and The Munda Biddi trail runs through the bush-scape along the front of the property. It is also a short drive from the beautiful white sand beaches & crystal clear coves. The three bedroom cottage is available as a farm stay retreat and can accommodate up to 6 people. For holidays, romantic weekend getaways & special occasions, this is a cosy, luxury, rich in history destination and was once the original farm house from the 1910's. The views of the cattle filled paddocks can be enjoyed on the character filled veranda and a contemporary ensuite' looks over the natural dam & miniature goat stud. Brian and Susanne will endeavour to be the perfect hosts, with the ultimate goal of providing guests with a private, relaxing, scenic and therapeutic stay. Hosts were terrific; property charming. Location just outside Albany and also easily accessible to Denmark. Highly recommended. We loved our stay! Especially the baked treats, comfy beds and tiny goat! Totally restorative. It’s an amazing place to stay. Stay should be at least for a week as the place is great to explore. The cottage is really impressive in terms of its vintage outlook and luxurious features. And specially, Brian and Susanne are amazing hosts. 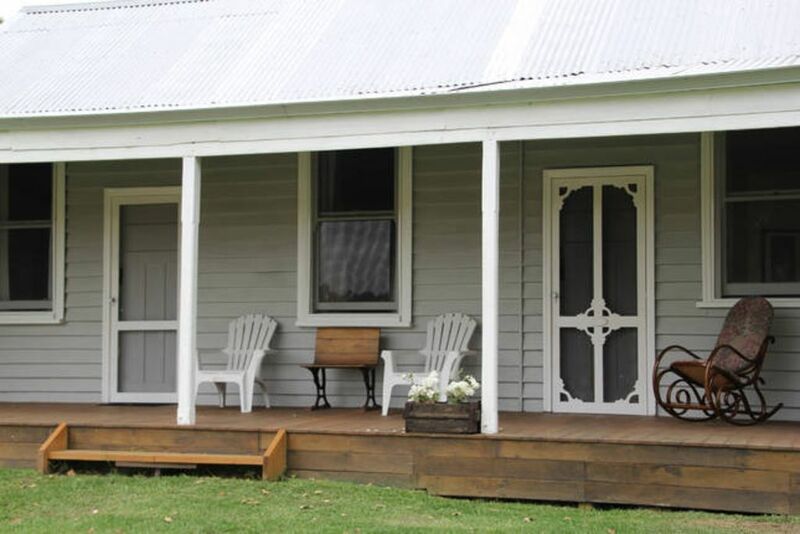 We would again make a plan to visit Albany and our first choice will be this beautiful cottage. Thanks Shahid, it was a pleasure to meet you all & we hope you can return sometime. Such a warm and inviting cottage, with everything we needed for our holiday. Perfectly placed between Denmark and Albany. Susanne and Brian made us feel right at home, taking us around their farm, allowing the kids to feed the goats, chickens and cows, and recommending some great spots to explore. We would recommend it to anyone and will definitely be back again. The cottage is beautifully comfortable with everything you could want, and the property is beautiful. However, the stand out for us were the hosts, Susanne and Brian - so friendly and hospitable. Susie made us scones and muffins and melting moments - so nice to return to each evening after exploring Albany. Our kids were rapt with the goats too. Strongly recommended. Thank you!! It was lovely to meet you all & we are so glad you enjoyed it. We had an amazing short break at White dog lane in Albany, the cottage has been so lovingly restored and is perfect for family weekends or just a romantic getaway (the view from the bath in the master suite is fantastic!). Susanne and Brian are so friendly and welcoming, we walked in the door to home made cakes and scones! We cannot wait to return, one of our favourite hidden gems on stayz!